After hearing a friend of mine, Gail, raved about homemade ricotta cheese using Ina Garten’s recipe, I decided to give it a try. I have always been skeptical of homemade cheese. Why attempt something that many companies have perfected for years! Gail was rather convincing. Her eyes lit up when she described how light, delicious, and fresh her first batch of ricotta tasted. Gail was right. I was giddy after my first bite. Light like a cloud. Creamy. Smooth. Fresh. Unbelievable. My head was buzzing with ideas. Crostini. Ravioli. Gnocchi. Lasagna. Cheesecake. So many possibilities! I was too impatient to make anything time consuming. I wanted to showcase my first batch of ricotta cheese and went with Donna Hay’s recipe for sweet honeyed ricotta with brioche from Seasons. I used baguette in place of brioche. You cannot go wrong with any bread or cracker available in your kitchen. 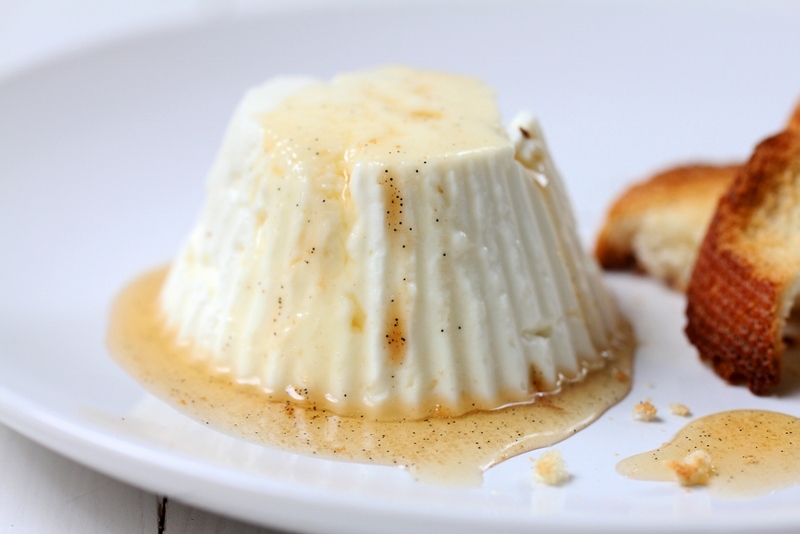 The honey elevated the ricotta to a new level. I ate half a cup by myself and saved some for Vu and Betsy. They both approved. 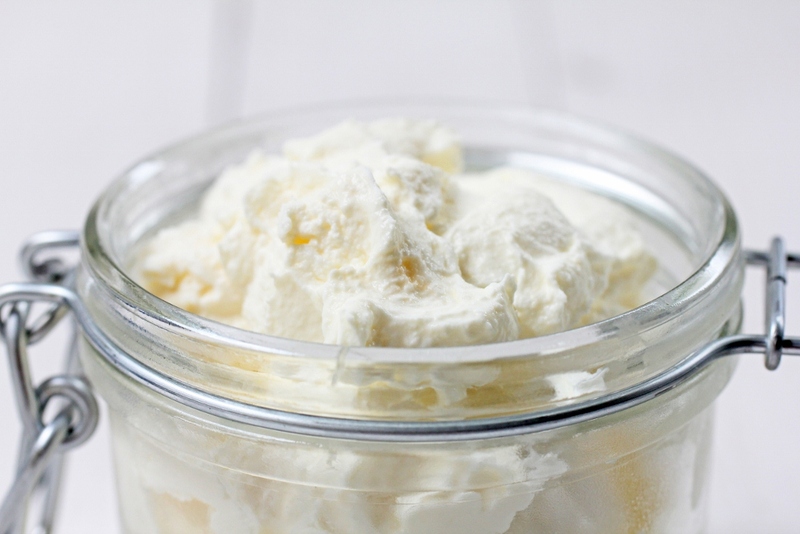 GONE are the days of store bought ricotta cheese! 1. 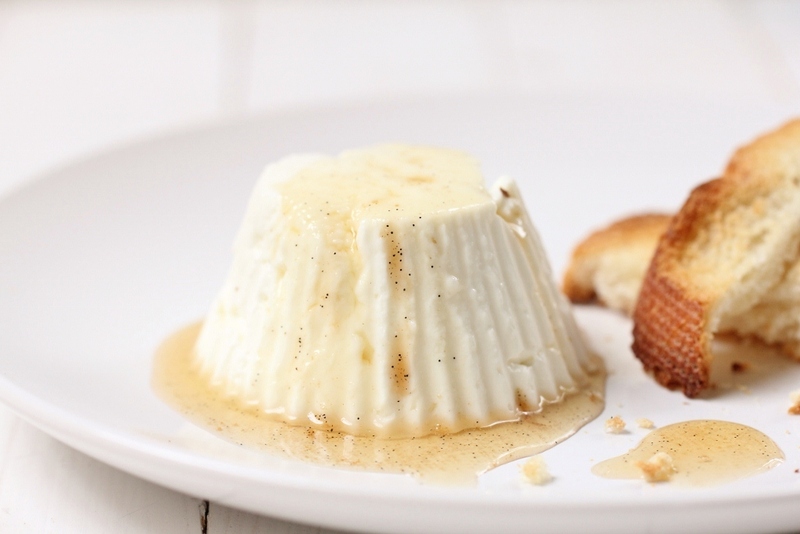 Press ricotta into a 1-cup mold and refrigerate for 1 hour or until firm. 2. In a small saucepan, combine water, honey, and vanilla and cook over medium heat until the mixture becomes syrupy, about 15-20 minutes. 3. Unmold the ricotta and place on a serving plate. 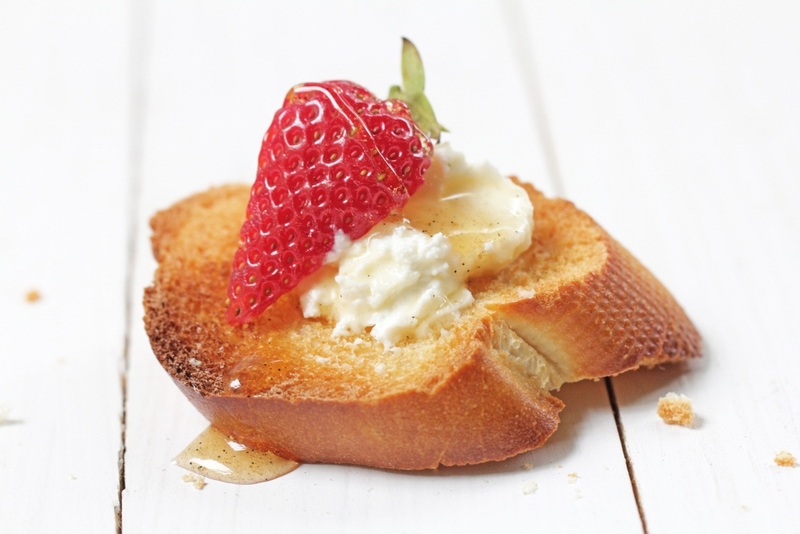 Pour the honey over ricotta and serve with baguette and fresh fruits. 1. Dampen 2 layers of cheesecloth with water. Set a large sieve over a deep bowl and line the sieve with the cheesecloth. 2. Combine the milk and cream into a stainless-steel pot and stir in the salt. Bring to a full boil over medium heat and stir occasionally. 3. Turn off the heat and stir in the lemon juice. Allow the mixture to stand for 1 minute until it curdles. It will separate into thick parts (the curds) and milky parts (the whey). 4. Pour the mixture into the cheesecloth-lined sieve and allow it to drain into the bowl at room temperature for 20 to 25 minutes, occasionally discarding the liquid that collects in the bowl. 5. 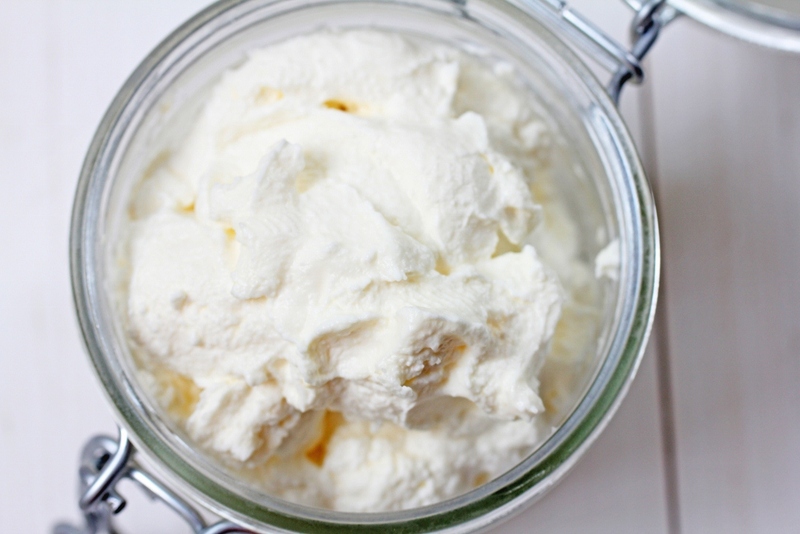 Transfer the ricotta to a bowl and discarding any remaining whey. 6. Use immediately or cover with plastic wrap and refrigerate. The ricotta will keep refrigerated for 4 to 5 days.